Next week at the SEMA Show in Las Vegas, Specter Werkes will show a new GTR based on the Corvette Z06. New GTR is a collaboration between Specter Werkes and Lingenfelter Performance engineering. Under the hood is a Lingenfelter twin-turbo system pumping the 7.0-liter LS7 V8 engine output to 800 horsepower. We have already seen the 800 hp 911 Turbo by Switzer Performance. 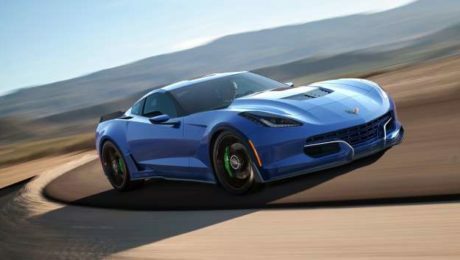 Here’s another U.S. tuner that thinks the 3.6-liter Twin-Turbo Flat-6 engine with 480 hp and 460 lb-ft of torque just isn’t enough. Guys over at Vivid Racing are preparing for the Texas Mile and have built a 800 hp Flat Blue 997 Turbo.